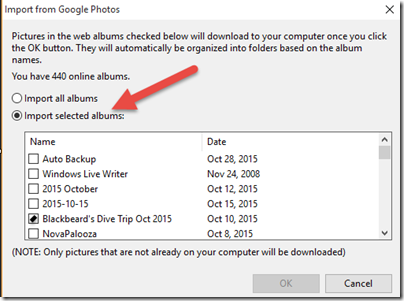 Getting Your Pictures Down from the Google Photos Cloud – Learn Picasa and Google Photos! These articles are very helpful. But please provide a printable copy and icon to trigger printing. Since starting on Windows10, I can’t seem to print anything but the heading unless cut and paste to a word processor. Thanks. I can’t get Google Photos to upload my pictures on my Windows 10. I also can’t get access to see albums I upload to the Web Album feature on Picasa. It says my access is denied. Agreed. Takeout gets everything, all at once. I’m in hybrid world. I still shoot with a separate camera much of the time, especially when traveling out of the country. Those photos I transfer to the computer (memory card to slot and drag to preferred location) and let Google “back them up” to Google Photos at the “free” file size. For belt and suspender I have Carbonite running to back up everything AND an external hard drive. I use a lot of data. My wife is running the same routine and she has an MFA in Photography so we really burn bandwidth. I have not downloaded my phone camera pics to the computer, yet. I will follow through on the idea and #3 will be how I will do it. No need for long term storage of pics of parking places and bottle labels. Sounds like you got your bases covered Paul! But, it really doesn’t matter “Picasa Web Albums” is just another interface to the same pictures as Google Photos. I use method 3. I have used picasa since it started and have loved it. I hate that I had so many albums that I had uploaded at full strength then when picasa started syncing with Google plus photos, I was going to have to pay as I had so many albums there. 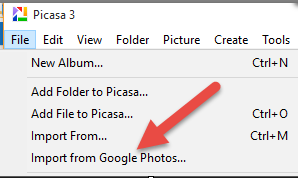 It is also a pain that if you do have a picasa album and you decide to delete some from Google Photos it deletes it from everywhere else you have it online in a google feature. I want my own pictures on my computer at all times and I do back them up with an external drive, so even if they are posted, they are on my computer or drive. I also share most of my albums and I do that with Picasa as I don’t like how Google Photos does it and also the caption feature as you mentioned. I SO agree with you that it is a problem that deleting from Google Photos deletes pictures from Albums AND anywhere else the photo has been used – like forums and blogs – I wish they had some kind of badge on the pictures that are in use somewhere else so you know not to delete it. It is good to log a feature request using the Google Photos menu->Help and Feedback->Feedback. Since I normally upload to albums using Picasa, and Picasa automatically adds a watermark for me – I do have a kind of badge. I know that if I see a watermark on one of my pictures, it is one that is used in an album. And, I only use public album pictures in my blog. So, I never delete a picture with a watermark. When the pictures are uploaded to the cloud is the byte count reduced? I have found that this happens with Apple cloud. Al, whether the size of your photos is reduced when backed up is a matter of what settings you choose. We recommend the “High Quality” setting because you get unlimited FREE storage that way. This does compress the files to reduce the file size, but the resolution is close to original at 16 megapixels. If you choose Original: Full Resolution, then they are not reduced at all, but they count against the 15GB storage allotment provided by your Google account. I am totally confused with the cloud. I use a Mac and I have a folder that I call pictures and I use Picasa. I thought my pictures were actually being stored in the picture folder and a copy was sent to the cloud. Are my pictures actually stored in the cloud and a copy in the picture folder or is it the other way around? If you’re using a Mac – then you’re probably right about your photos. You’re taking them from your camera (real camera or phone) and transferring them to your computer – right? Then the Google Photos Uploader is copying them to the “cloud.” Realize that “cloud” is just another word for Internet. On a Mac, you might also have your iCloud settings so that your pictures are being uploaded to your Apple Account in the cloud. The Google Photos Uploader will copy your pictures to your Google Account in the cloud. I take most all my pictures with my phone, then Google Photos (on my phone) is automatically uploading them to my Google Account in the cloud – no computer involved. This article is about the easiest way to get them to my computer from there. It is important for you to know what is set up on your computer. 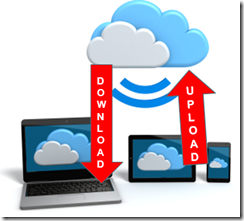 It’s possible that you have neither Google Photos Uploader OR iCloud set to backup your photos. Then your only copy is on your computer. This is all very confusing. Basically what I want to do is store my photos on my computer and have a copy up in the cloud. It would be wonderful if you could write an article on how to set this up on a Mac. Thank you so much for all your information it is really helpful for us non tech folks.